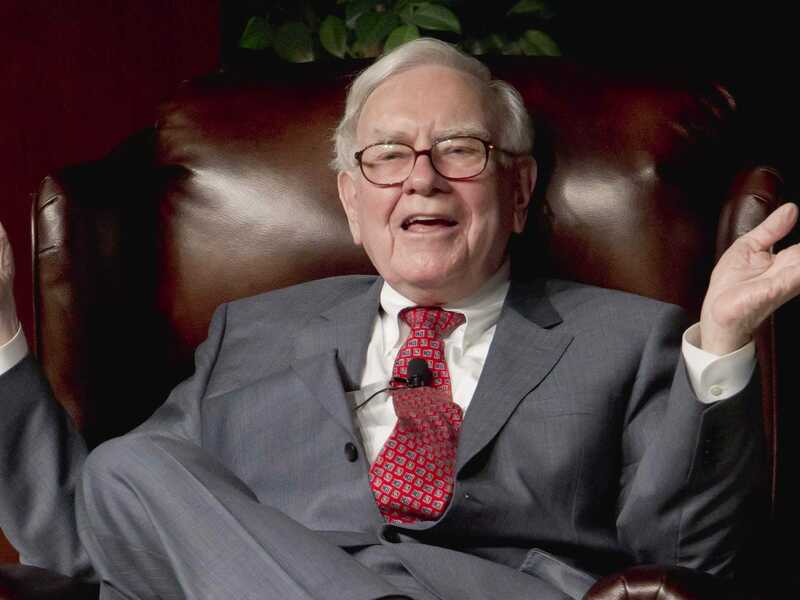 Warren Buffett — now worth more than $US71 billion— has had a hunger for wealth since he was a tube-socked teenager. Through a number of schemes, the would-be Oracle of Omaha amassed the equivalent of $US53,000 by the time he was 16, enough money that he nearly refused his father’s request to go to college, because he didn’t see the point. By looking through Alice Shroeder’s biography, “The Snowball: Warren Buffett and the Business of Life,” we can see that Buffett has always had a gift for manipulating money — and people. Here are a half-dozen of his early hustles. He delivered the Washington Post. Buffett’s father Howard got elected to the US House of Representatives when Buffett was a teen, and the family had to move from Omaha to the nation’s capital. As Shroeder notes, the young Buffett immediately set to work making money with the most traditional of hustles — dutifully delivering newspapers. But by handing out the Washington Post, Buffett was making more money than most grown-ups. “Just from pitching newspapers a couple hours a day, he was earning $US175 a month, more money than his teachers,” she writes. He also sold calendars to his newspaper clients, bringing in a little extra. He sold used golf balls. If you wanted to get a golf ball on the cheap back in the ’40s, you could do worse than buying Buffett’s Golf Balls at $US6 for a dozen. Buffett’s friends and family thought he scooped the balls out of water traps, but the young entrepreneur got them by ordering from a provider in Chicago. The teenage Buffett partnered with his friend Lou Battistone to form Buffett’s Showroom Shine. The car-buffing business ran out of Battistone’s dad’s used car parking lot — though Schroeder reports that the duo abandoned the business when it turned out to be too much manual labour. He set up a pinball machine business. When Buffett was 17 he had his biggest money-making idea: pinball. The pinball machine was a hit: Buffett counted $US4 in nickels on the first evening. The pair soon set up pinballs in barbershops all over Washington. And he turned the horse track into a very lucrative playground. When he was still in Omaha, the young Buffett found a bull market in the Ak-Sar-Ben arena, a horse-racing track that operated from 1919 to 1995. He and a friend would go to the race track, and though they were too young to make bets themselves, Buffett quickly found a way to make money: by stooping, which was like dumpster diving for race track tickets. At the start of racing season you get all these people who’d never seen a race except in the movies. And they’d think that if your horse came in second or third, you didn’t get paid, because all the emphasis is on the winner, so they’d throw away [second-] and [third-place] tickets. The other time you would hit it big was when there was a disputed race. That little light would go on that said “contested” or “protest.” By that time, some people had thrown away their tickets. Meanwhile, we were just gobbling them up. It was awful; people would spit on the floor. But we had great fun. And if they found any winning tickets, Buffett’s aunt Alice would cash them in for the boys. Buffett went a step further: using his love of maths and collecting information, he and a friend put together a tip sheet for bettors at the race track. Soon they were out hawking “Stable Boy Selections,” a tip sheet that the boys typed out on an old Royal typewriter in Buffett’s basement. Like other self-made billionaires, Buffett started early.